We stayed for a month at $350. Nightly rate is $40. The manager led us to our site and helped us position. Wide concrete roads and long, level, double wide, concrete pads. Definitely big-rig friendly. Nice grass between sites and about average distance between sites. Grass is mowed regularly. All of the sites have nice, well maintained rigs and are neat and tidy. Some sites have cable TV. I got good OTA reception from both Corpus Christi and Victoria. Picnic tables at the sites. Hook-ups are convenient. Laundry room is always clean with 10 washers and 10 dryers. Large, private bathrooms are very nice and always clean. Two swimming pools. One is adults only. Rec room with exercise equipment, billiard table, poker tables, and ping pong table. A small group plays poker three times per week. Large club house with daily activities. They have an activities director that plans both on-site and off-site activities. Wifi is acceptable for email, but could not stream Netflix. Fenced dog park. 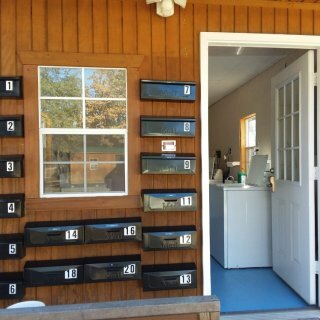 A local company delivers propane to your site two times per week. The park is on a body of water called Salt Lake which is part of Copano Bay. They have a fishing pier that extends into the bay and a kayak launching pier. I am surprised by the low rating on this site, but past reviews are several years old. We've spent our winters in the Rockport area for years. This is one of the nicer parks in the area. We will stay here again. 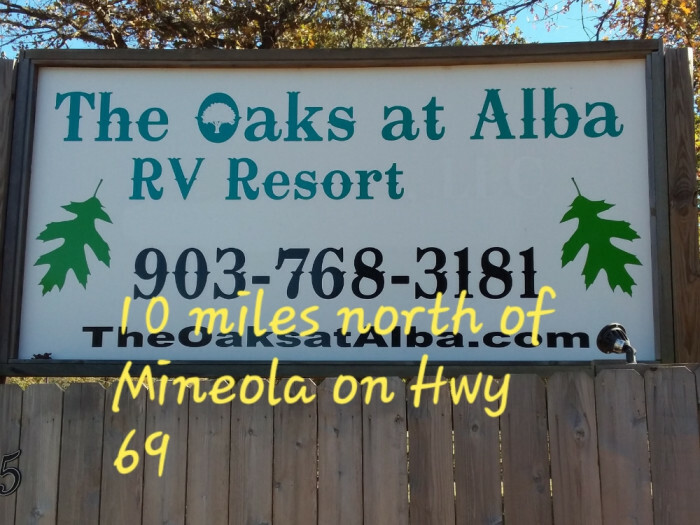 We camped at Copano Bay RV Resort in a Motorhome. The park was at about 50% capacity when we visited. The owner was very friendly. 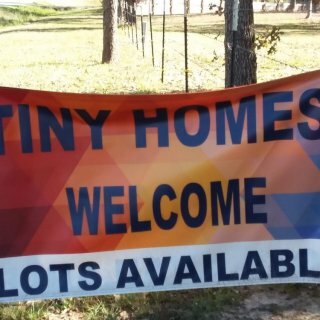 I was allowed to pick my own site. There was some shade, but mostly at the perimeter, back-in sites that appeared to be permanent guests. Poor wifi. Slow internet and frequently drops the connection even though the signal is strong. All sites level. Sites and roads are gravel. About average distance between sites. Your neighbors are close by. My pull-through site was barely long enough for my motorhome and toad. As others have mentioned, we would sometimes get a cow/manure smell from the area. Not overpowering, but unpleasant. There are nice grassy areas for walking the dog. Concrete slab with a plastic picnic table that was in pretty bad shape. It's an okay park. Nothing special. I thought it was expensive for what you get. 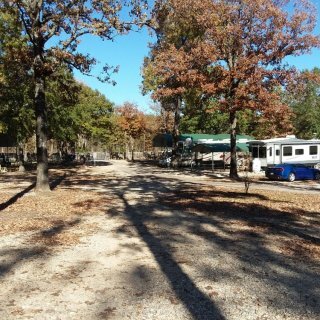 We camped at Trailer Village RV Park in a Motorhome. This park is located about 5 miles north of Alamogordo. It is on hwy-54 and there is a lot of road noise. It is easy to access from hwy-54 and there is a very large staging area in front of the office. Owner and staff very friendly and check-in was quick. The owner led us to our site and helped us position. It is all gravel. Our site was very long but about average distance between sites. Your neighbors are close by. The hook-ups are convenient. There are no trees, but that is not surprising for New Mexico. Our site had a picnic table chained to the ground in front of our rig. Kind of a strange location. All sites face south, so your awning side is sunny and hot after noon. 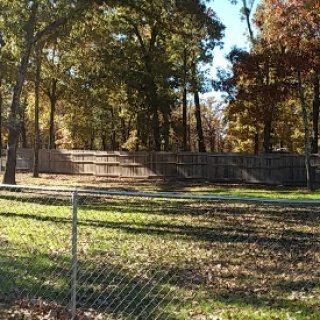 There is a fenced dog run where it looks like they are trying to grow some grass. WiFi was very slow. As others have mentioned, they charge $5 per load if you do laundry in your rig. We used the clean laundry room with two each large capacity, residential type washer/dryer for $2.00. The dryers are preset for 45 minutes. Our clothes did not get dry on the first cycle and had to restart the dryer again for another $2.00. So, it cost us $6 per load in their laundry room, but with the large capacity machines it is probably equivalent to two loads in our small capacity RV washer/dryer. 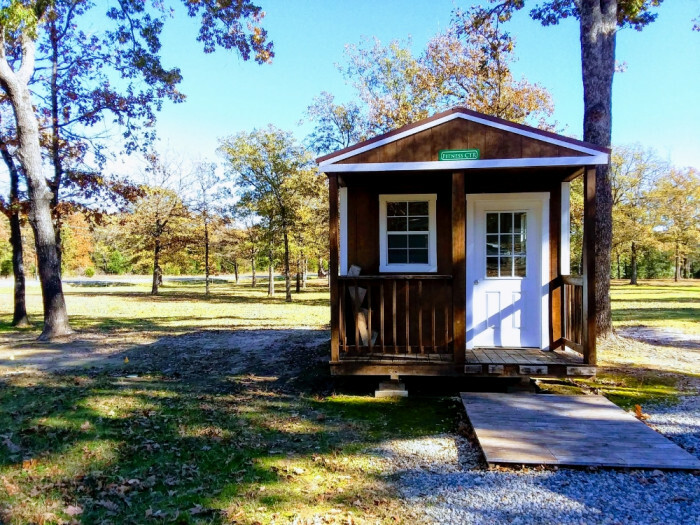 Two bathrooms with shower, toilet, sink and dressing area behind a locked door. Bathrooms were very clean. We would stay here again. 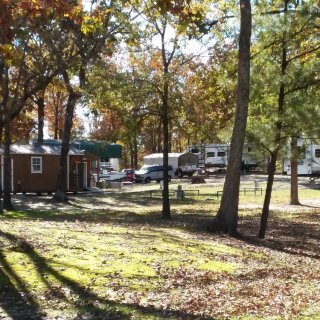 We camped at Boot Hill RV Resort in a Motorhome. This park is 12-15 miles from anything. It is very close to I-25 and there is a lot of road noise. We had an unsecured reservation. The office staff is very friendly. We paid $15 with Passport America discount and paid cash. They do not accept credit cards. This was just an overnight for us. We were led to our long pull-thru site. Roads easy to maneuver with a big rig. We did not disconnect the tow car and did not connect to sewer. All sites clean, tidy, and level. They have an enclosed dog area that is gravel. Wifi is $2 extra, we did not use. Surprising for New Mexico, they have shade. 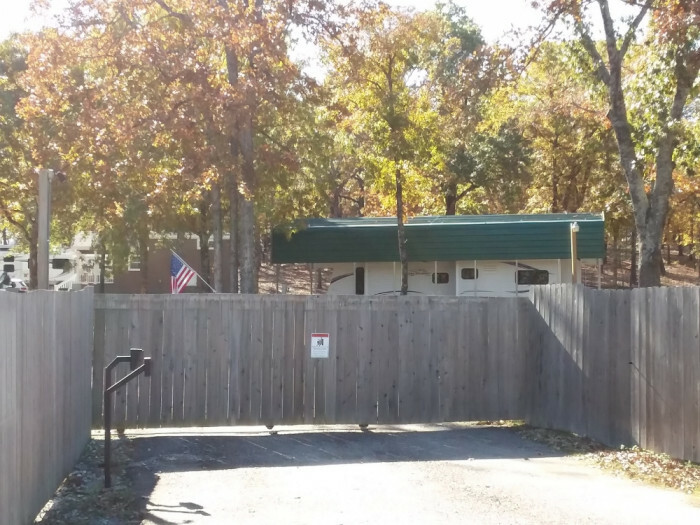 Our site was wide with shrubs between sites that added privacy. I did not visit the bathrooms and did not try OTA television. This park is an excellent value at the Passport America rate. We would stay here again. 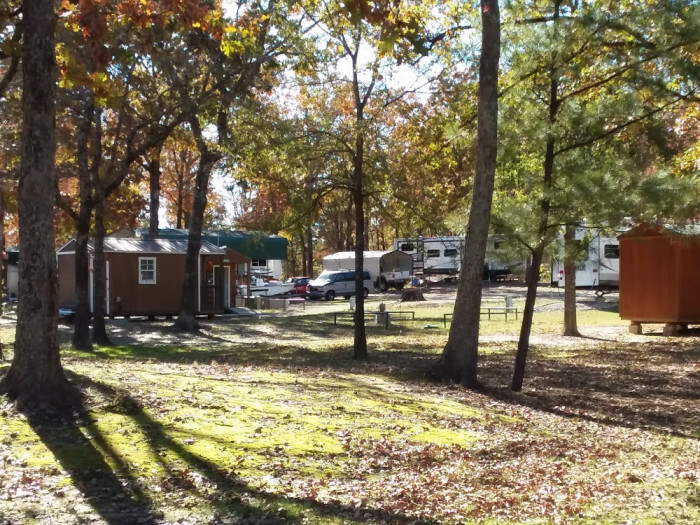 We camped at Kiva RV Park and Horse Motel in a Motorhome. This is a small park with no amenities. There are no restrooms, showers, or laundry. Mostly permanent residents with clean and tidy sites. The park is quiet, away from any traffic noise. Very friendly staff. The office is also a residence, so make sure you knock on the door. We had a reservation and the check in was fast and efficient. They do not accept credit cards. I wrote a check. Easy to maneuver roads and sites for a big rig. Roads and sites are gravel. No picnic table and the sewer cover was missing at my site. Some sites have shade, but most are in full sun. Only a couple of blocks from Aztec Ruins. Excellent wifi. Nice dog walking area near the office. It's a basic park, but good value. I would stay here again. 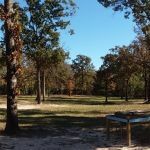 We camped at Ruins Road RV Park & Campground in a Motorhome. 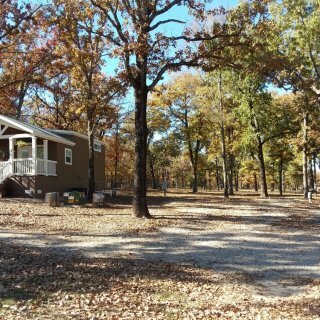 We stayed for a week at $165/wk. This park is on a Ute Indian Reservation. The park was only about 25% of capacity when we visited after Labor Day. The friendly lady at check-in allowed me to pick my own site. I chose a site facing northwest for awning side shade in the afternoon. The roads and sites are gravel and the park is built on a slope. All sites slope back to front. After auto leveling, I had a front tire off the ground. 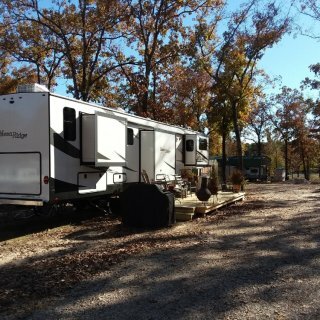 I noticed other motorhomes with ramps or front wheels off the ground. There are mature trees at each site that provide some shade. There is also a small patch of nice grass at each site that is watered every day. There are a couple of nice, large grass areas for dog walking. Each site has a picnic table on a concrete slab and an individual trash can at each site. Cable TV was good. We did not even try OTA television. Internet was slow. You should be aware that the Indian reservation has a "no alcohol" policy. You may not sit outside of your rig with a can of beer. Of course, I "appeared" to drink coffee out of a cup all day long. They have an indoor swimming pool, hot tub, and dry sauna. The bathrooms looked new and were spotless. There were three shower rooms with locking doors, nice large showers, and dressing area with chair. It is next to a casino with restaurant. We ate at the casino restaurant three times while there. If you go to the restaurant, stop at the casino entry and get a "player card" even if you do not gamble. The card is free and used to track your gambling time. It will also get you a nice discount in the restaurant. The casino security drove through the park frequently. We are Passport America members. This is one of the better PA parks we have stayed at. We camped at Sleeping Ute RV Park (formerly Ute Mountain Casino RV Park) in a Motorhome. Used this park for an overnight stop. We had a reservation and were checked in by a nice young lady that had our paperwork on the counter. Check-in was quick. We were assigned a pull-thru site and did not disconnect the toad. Roads and sites are gravel and very easy to maneuver in a big rig. Spaces are close with grass between the sites. Very little shade. Our site had a picnic table on grass. There is a common area near the office with nice grass and a covered pavilion. This is a good area for walking the dog. We did not hook up sewage or use the common bathrooms. We were offered a fuel discount at the service station next door, but did not take advantage of it. The park is clean and I would stay there again. 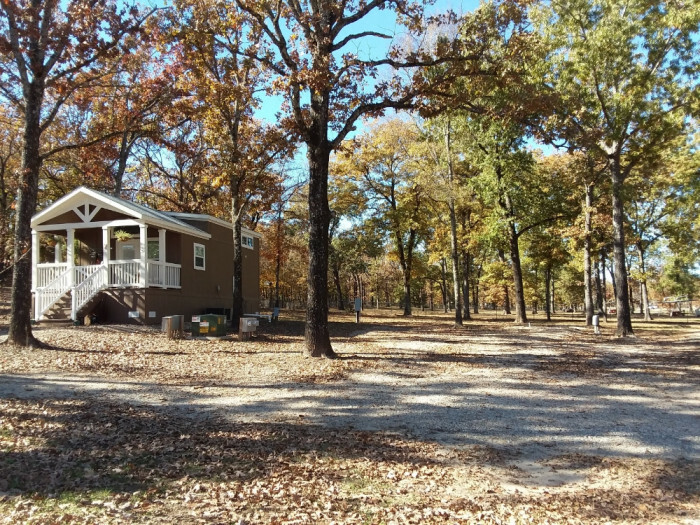 We camped at Indian Creek Campground in a Motorhome. Located about 5 miles south of downtown Moab. 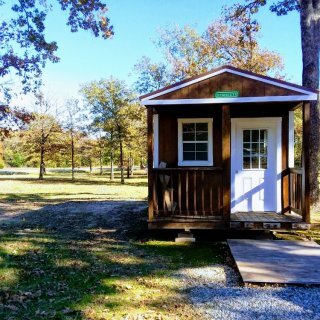 We stayed for a week at $235/wk. Gravel roads and sites. Site width is about average. Your neighbors are close by. The park has a surprising amount of shade. Most RV parks in Moab are pretty barren. Our pull-thru site slopped side-to-side and we had to use ramps under the tires on one side to get level. It also faced due west. We had to use a windshield cover to block some of the sun and heat. Hook-up near the rear of the site. You may need a sewer extension. You have great views of the surrounding mountains, but all Moab RV parks have the same views. WIFI was poor. Slow and frequently dropping the connection even through the signal was strong. Probably depends on how many people are hooked in. Excellent cable TV. We had a picnic table on grass and a fire pit. Our fire pit was full of cigarette butts. They have a nice common area at the office with gas grills. Small, clean laundry room. About a dozen large capacity, top loading washing machines for $1.75/load. Four large capacity dryers $1.50 for 30 minutes. Heavier items like towels, denim, sweatshirts, etc will not get dry in 30 minutes and you have to drop another $1.50 to start the dryer again. The men's bathroom was small. It had two toilets and two showers. The showers were small with shower curtains. There was no dressing area after you step out of the shower. There is not a good area for dog walking. 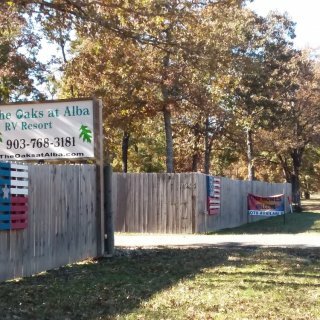 Not an excellent RV park but good for the area. We would stay here again. 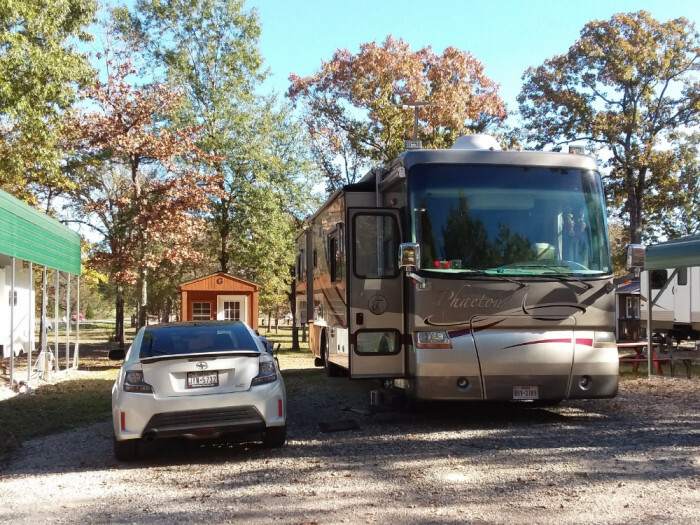 We drove through the KOA and think this park is a better choice. 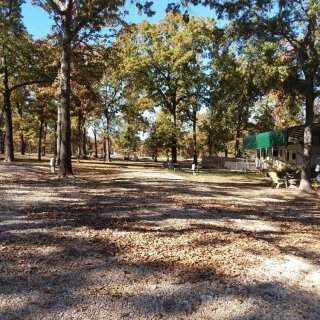 We camped at OK RV Park & Canyonlands Stables in a Motorhome. We stayed here because it is a Passport America park. 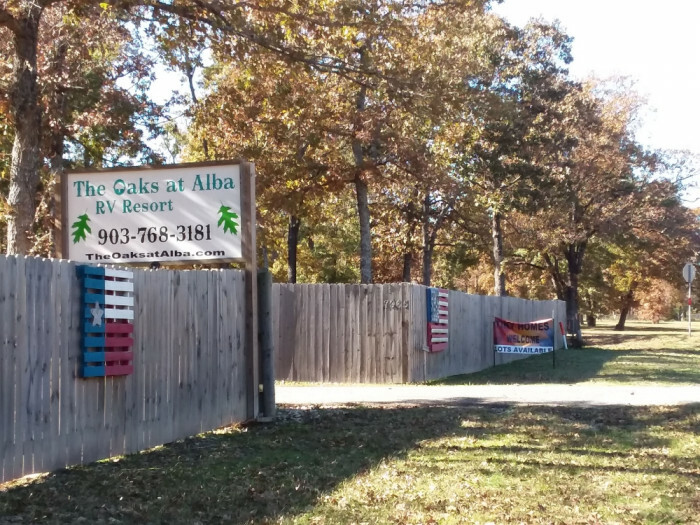 This is a mobile home park that is transitioning to an RV park. 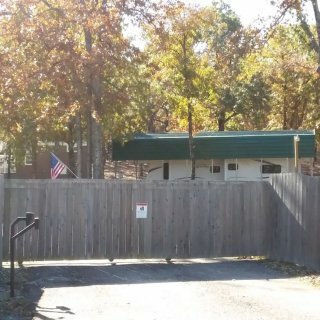 The company that owns the park has a number of mobile home rentals. 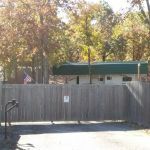 They are not renewing rental leases and moving those mobile homes out of the park once the lease expires. 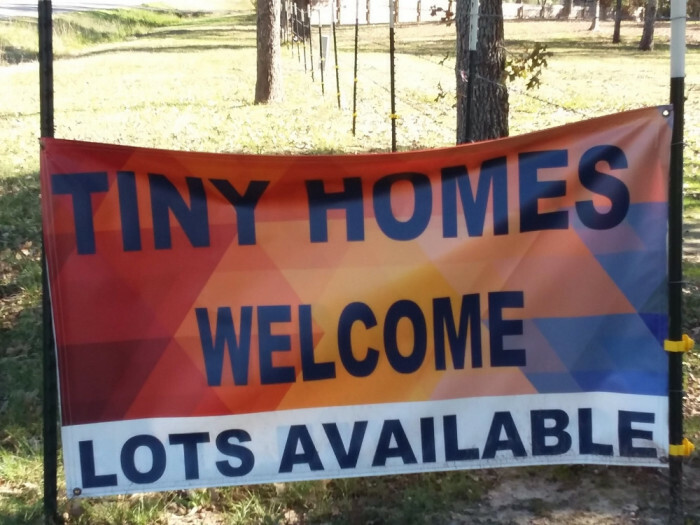 I would say there is about a 50/50 mix of mobile homes and RVs. 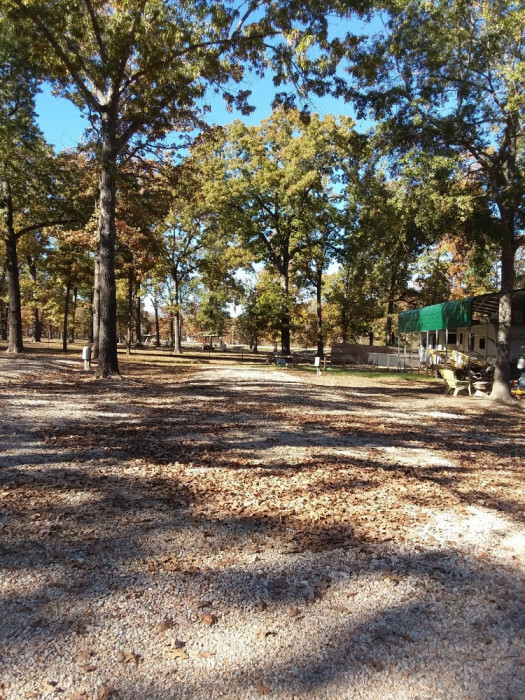 Many of the lots are empty and the grass is not being watered so it looks a little rough. The manager and his wife are very nice. The roads are wide, paved, and easy to maneuver in a big rig. The sites are reasonably spaced. I would say larger than average, but not spacious. Great view of the mountains. Our site had concrete strips that the tires rested on. In between those strips and the rest of the site was grass. Our leveling jacks rested on grass. No picnic table. There is a nice grassy area around the office for walking the dog. The rest of the park is pretty rough and full of stickers. They advertise wifi only around the office, but I was parked close enough to get a connection at my site. Wifi was good. They have a swimming pool which we did not use. It is a reasonable value at the Passport rate. I would look elsewhere if I had to pay full price. We camped at Wasatch View Estates and RV Park in a Motorhome. Stayed for week. No weekly discount. Missed the turn coming in as did many people. Follow instruction on the park website: driving south on Canyon St (US 191), pass the large bear statue on the island in the middle of the street and immediately turn left. The park offers pull-through and back-in sites. 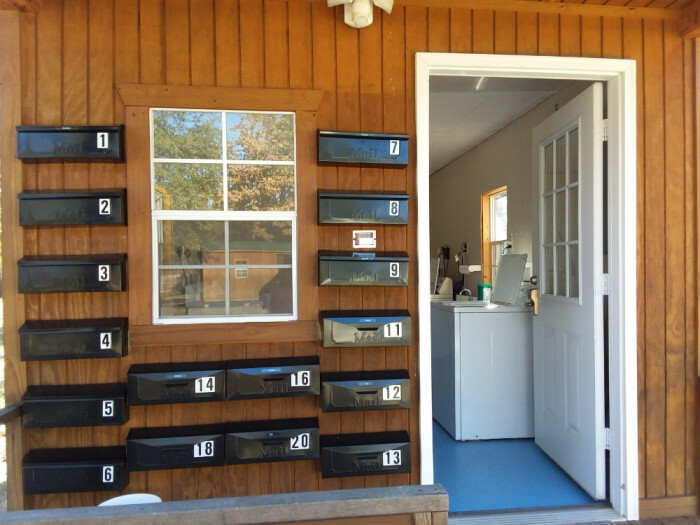 The pull-through sites are more desirable and more expensive. Pull-through sites have a hard surface patio with picnic table, some grass, and face northeast which gives you awning side shade after noon. The back-in sites are in very thick gravel which is difficult to walk on, no grass, and face due west which puts a lot of heat on the windshield if driving a motorhome. There is no shade at any of the sites. Spacing between sites is average. Your neighbors are close by. No OTA TV and no cable. Our site had a picnic table on gravel. This is not really a kid friendly park. There is no playground, common area, or swimming pool. No place to ride a bicycle. Wifi was great most of the time. This is really just a gravel parking lot behind the Imax theater. It is not a great park, but it has upsides: VERY close to the west entrance of Yellowstone. Better price than other area parks, but still expensive for what you get. Walking distance to downtown West Yellowstone. We would stay here again. We camped at Buffalo Crossing RV Park in a Motorhome. 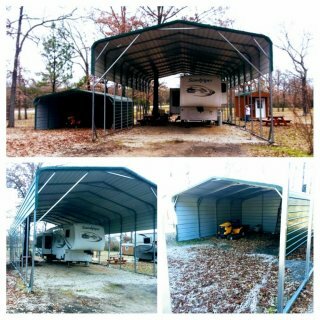 This park is a combination of mobile homes, RVs, and storage. They also allow tent camping. As for the RV part, there is an older section that is fully shaded with shorter, back-in sites. This section would be difficult to maneuver in a big rig. We stayed in a newer, full sun section (basically sites #71 to #89 on the park map). This section has gravel sites and roads. All sites are very long in this section. 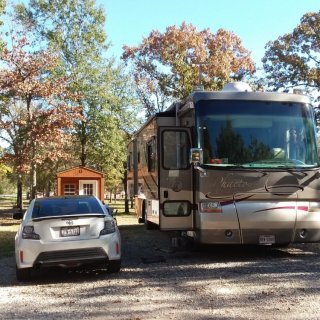 My pull-through could accommodate my 40 ft motorhome and still park a car at both ends. 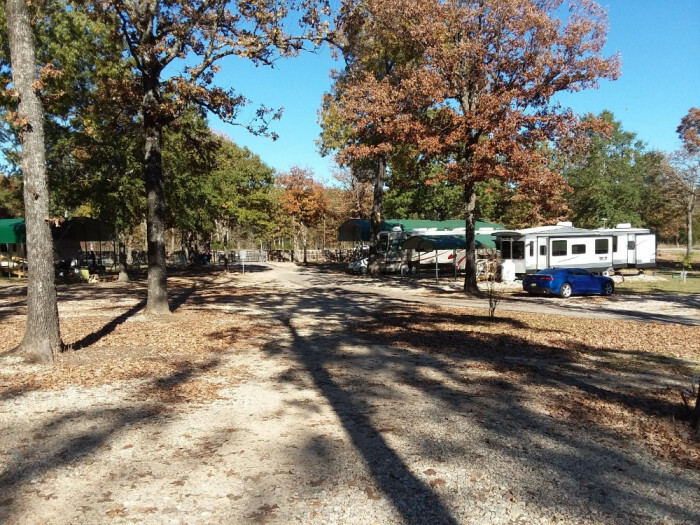 Site spacing is average for most RV parks. Your neighbors are close by. It was often dusty due to the gravel. All of the sites in this section face northwest, so you have shade on your awning side in the afternoon. My site had a picnic table on grass. This is a great park for children. They have a nice playground and a spring fed creek provides a shallow swimming hole near the office. Rubbermaid type trash cans are placed in several areas around the park and were frequently over flowing. They did not have a large dumpster anywhere and did not empty the trash cans often enough. The park provides cable TV. I could only pick up one major network over the air. Laundry room was nice. Mostly residential type top loading washers and industrial type dryers. They had one large capacity front loading washer that we used to wash our heavy bed cover. WiFi was great most of the time. There is an off-leash dog area near the entry, which is a long way from most of the sites. We would not hesitate to say here again. We camped at Rocky Mountain Hi RV Park & Campground in a Motorhome. We made an unsecured reservation (no credit card). They were full the weekend we stayed because of the folk festival in Butte. The park charges more for that weekend. The park called on our arrival date to confirm we were coming. Friendly and quick check-in. Gravel roads and sites. Old gravel, so vehicles driving through kick up lots of dust. The park is laid out on a slight hill, and they did not try to terrace the sites. All sites sloped side-to-side. I had to use ramps on one side to level. They have rally parking, so you share a hook-up with your neighbor. On the awning side, you share a picnic table and common area. Sites are close together with no shade. Very close to the interstate. Lots of road noise. The view of the surrounding mountains was wonderful, but you would get the same view at other parks in the area. Wifi was very good. 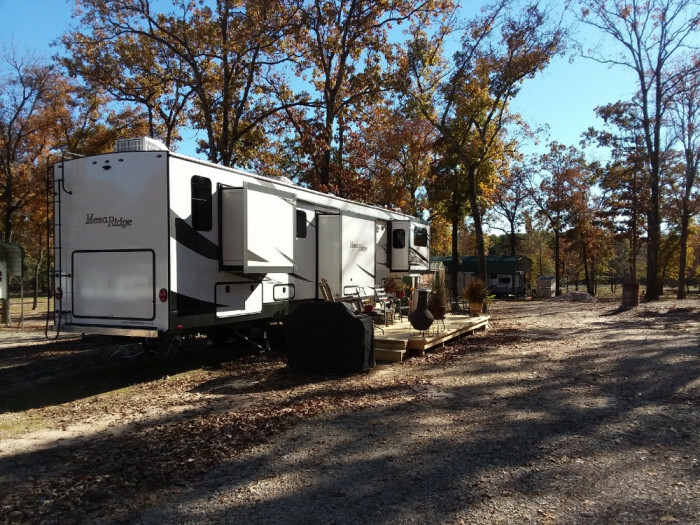 We camped at 2 Bar Lazy H RV Park & Campground in a Motorhome.